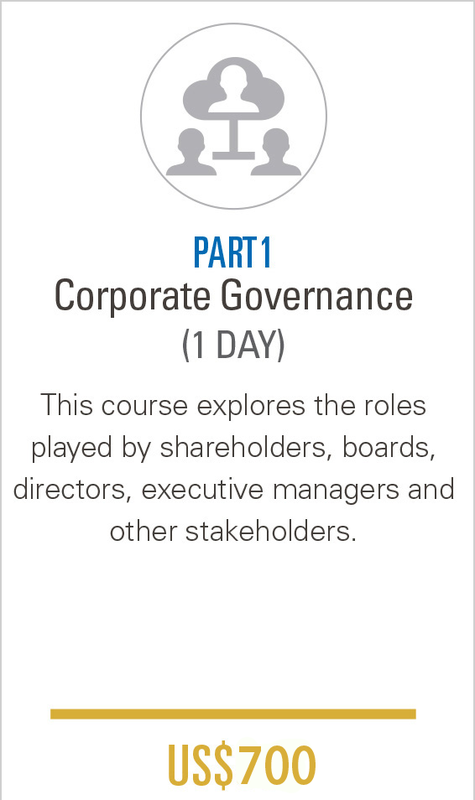 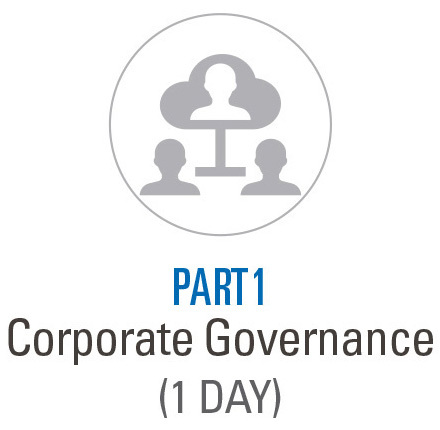 This course explores the roles played by the Shareowners, Boards, Directors, Executive Managers, and other stakeholders. 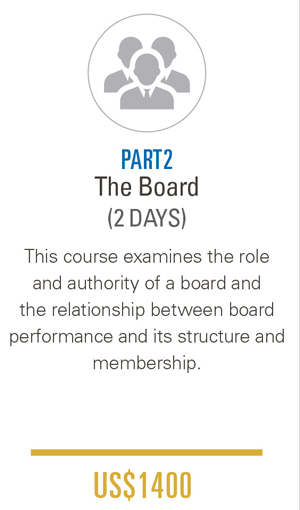 This course examines the role and authority of a board and the relationship between board performance and its structure and membership. 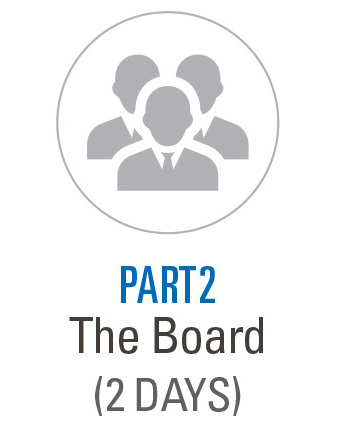 An essential requirement for an effective board is for the directors to provide the strategic direction for the company as a whole is their ability to deal effectively with dilemmas facing the board. 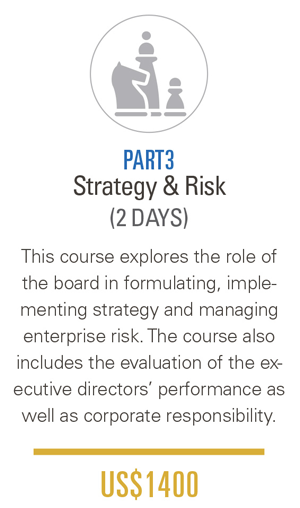 This workshop explores how a strategy is how a orients the company towards its market and its competitors. 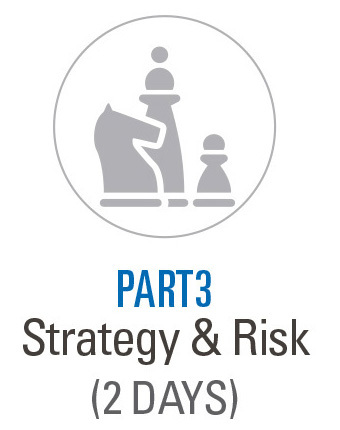 Flawed strategic thinking at board level can create massive value destruction and even threaten a company’s survival. 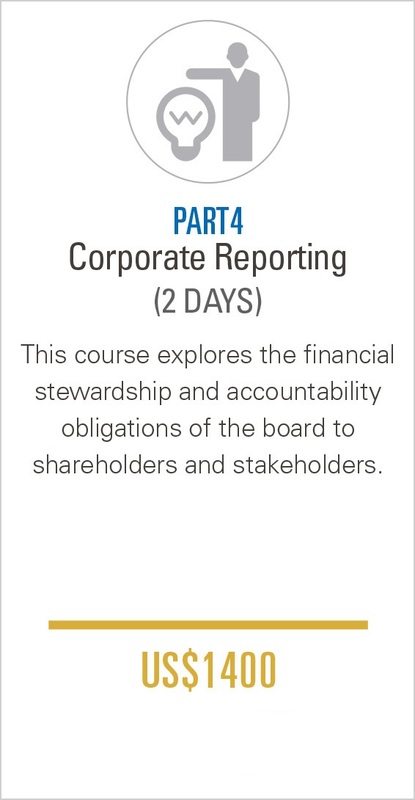 This workshop explores the financial stewardship and accountability obligations of the Board to shareholders and stakeholders. 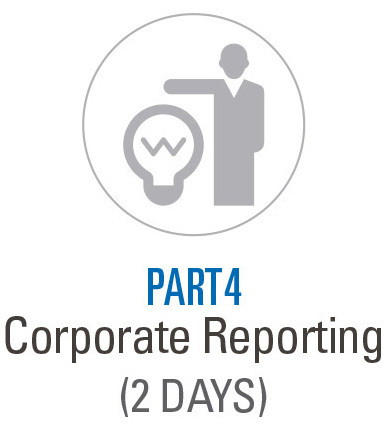 The workshop is highly interactive and includes presentations, tools, guides, case studies and simulations.